The Health Insurance Portability and Accountability Act (HIPAA) is an essential set of regulations that were enacted in 1996. HIPAA was created, in part, to deal with specific issue: Insurance coverage for persons who are between jobs. Before HIPAA, workers were uninsured while they were between jobs. HIPAA additionally helped to prevent healthcare fraud, simplified healthcare operations, and introduced rules that healthcare organizations had to follow to ensure that protected health information (PHI) is properly safeguarded and access to that information was limited to authorized individuals. HIPAA also played an important part in encouraging healthcare organizations to transition from paper records to digital copies of health data. The regulation helped simplify administrative healthcare functions and has helped to make sure that PHI is shared securely. The establishment of standards for documenting health information and electronic transactions ensures patients’ private data are always handled in the same way, regardless of which healthcare provider they go to. HIPAA-covered entities need to use similar sets of codes and adopt nationally accepted identifiers, and this has helped healthcare organizations share ePHI with other healthcare providers, health plans, and other covered entities. HIPAA is vital for patients because it requires healthcare providers, health plans, business associates and healthcare clearinghouses to implement security measures to ensure sensitive health information remains private and confidential. Even though healthcare organizations would most likely take steps to keep sensitive health data private and make it harder for health data to be stolen, without HIPAA, healthcare organizations would not be obliged to do so and they would not be accountable for privacy violations and security failures. HIPAA introduced rules that require healthcare organizations to restrict the persons who have access to health information. This limits the people that can view and share health data. For example, a nurse or other healthcare worker would is not allowed to access the records of a patient if there is not a legitimate work reason for accessing those records. 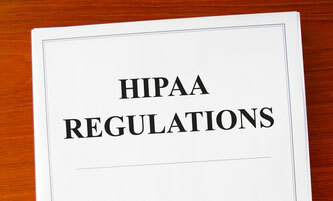 HIPAA also allows patients to control the types of people their health data is shared with. HIPAA is also vital for patients who would like to be more active in their healthcare and obtain and check their medical records. Healthcare providers may make mistakes when recording health data. If patients were unable to obtain copies of their medical records, it would not be possible for them to check for mistakes and ensure those mistakes are corrected. Obtaining a copy of health data can also help patients if they change healthcare providers. It helps them to transfer those medical records to new providers, which helps to ensure they get the best treatment and means that medical tests do not have to be repeated. Prior to the introduction of the HIPAA Privacy Rule, healthcare organizations were not obliged to provide patients with copies of their medical records.